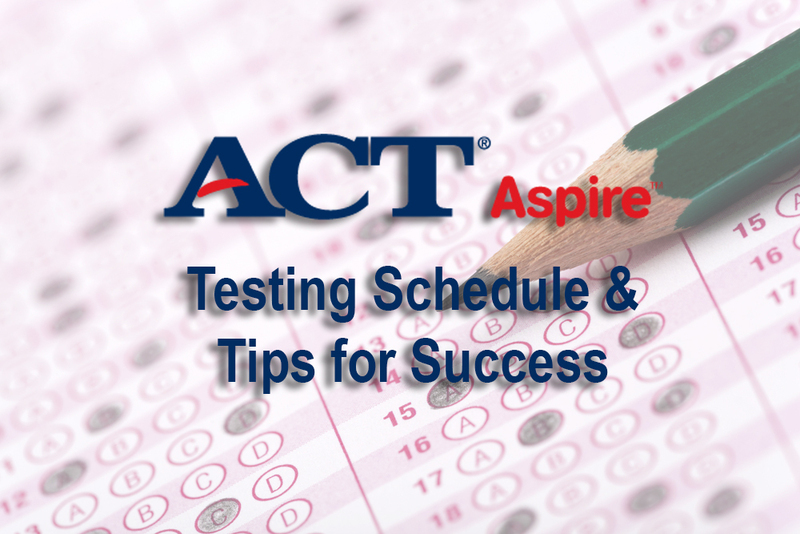 State testing using the ACT Aspire begins next week. Throughout the month of April all students in grades 3-10 will complete this test. 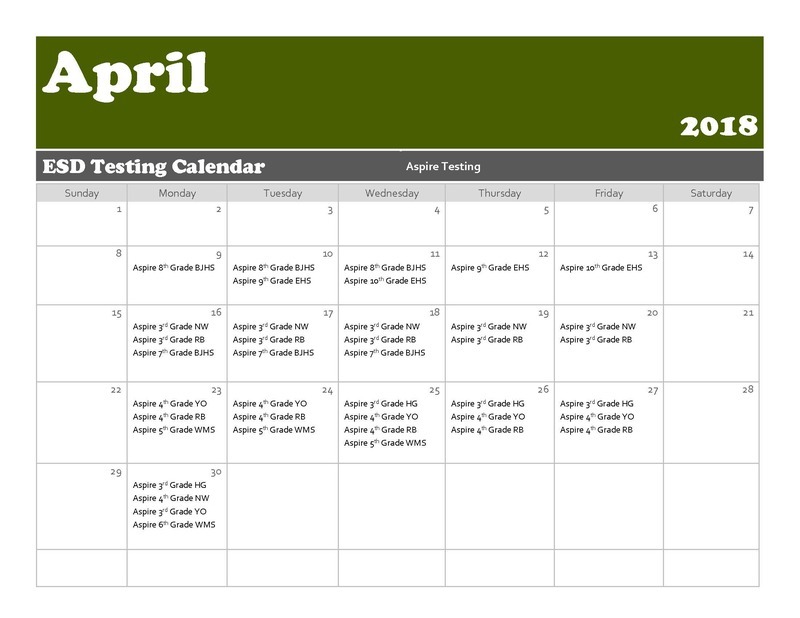 See the list below or print the attached calendars for your child's testing dates. Students can help ensure their success on the test with the following tips. -Get plenty of rest the night before the test. 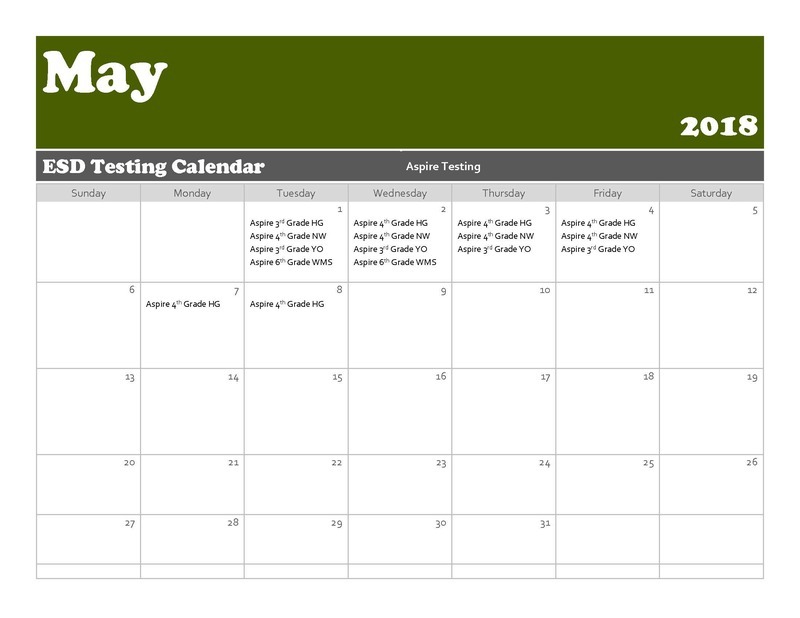 -Be sure to attend school and not have any outside appointments during the days of testing. -Get to school on time. If you have any questions regarding testing, please contact your school office.